TENA Dry Comfort Protective Underwear from HealthyKin.com is designed for everyday use. It provides moderate protection with full coverage. 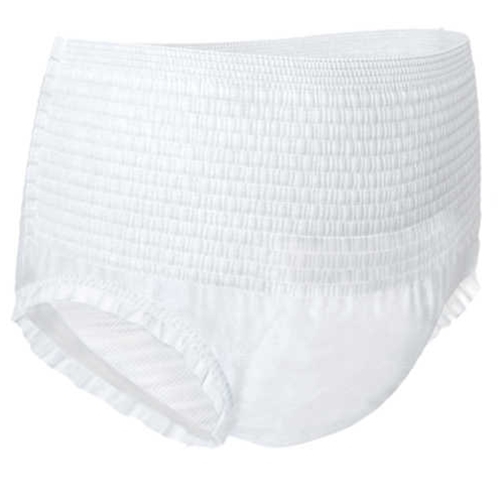 The soft, cloth-like, breathable material has the look, feel and comfort of regular underwear. Fits well, without being tight in groin. Good value,too.